Aw man, I heard the rumor about Mitch yesterday, but I hoped it wasn't true. 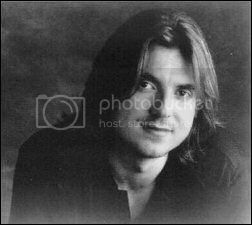 Mitch Hedberg was the first comedian I ever saw live. He was a good man, and one of my favorite people. My mother is very saddened by this as well. She loved him even more than I did. Oh wow. NOW I remember him. Used to see him on Letterman and Leno all the time, and I LOVED him. So sad! Wasn't he great? It's such a shame. It's sad news... damn sad. He was one of the funniest out there, these days. First Bill Hicks, then Sam Kinison, and now this... it isn't right. I really wanted to see him, but it was already too late when I found out. But I listened to his CD instead. And man, he was funny and now I'm sad. He was a very funny man. I'm sorry you never got to see him.